I have an internet ready Panasonic TV which can connect via a wired ethernet cable to a suitable internet-connected router, or via a wireless connection using a Panasonic usb wifi Dongle. Unfortunately this is quite expensive in the region of £50-£60 pounds and I couldn’t justify the expense for the limited number of times I might use it. However, it occurred to me that it should be possible to build a wireless to ethernet adapter using a raspberry pi. I had previously built a wireless access point using the Rpi based on the Pi-Point Article amended according to the article by Jens Segers to allow for the fact that I was using an Edimax EW-7811Un wireless adapter which requires a special modified hostapd. (The basis of these articles has been nicely brought together by Dave Conroy in a form which is much easier to follow here. What I now required was basically something working in the opposite direction. I Googled the topic and found a project by Glenn Lockwood to configure a Raspberry Pi as a Wireless-to-Wired Ethernet Bridge…just what I wanted Most of the work is contained in his article which is excellent, but I found one major gotcha which caught me out and took some time to solve. There were also one or two points which could be made a bit clearer, and I will take the opportunity to start from scratch in developing this project with full step by step details to make it easy for you to follow. A PC or Mac with a card reader to enable you to setup the SD card. insert your SD card into the usb card reader and plug this into a free usb slot on your PC. Then click the Write button, acknowledge the warning dialog that pops up and you will write the image to your SD card which will take a minute or two. You should get a dialog box saying Write Successful when it completes. quit the win32DiskImager program and you should see your SD card in the relevant drive (F). it will contain the Boot partition for the raspberry PI. About 40Mb or so of files. Eject the card from the PC and insert it into your Raspberry Pi. Initially it is easiest to set up the Rpi with an hdmi monitor connected, together with a keyboard and mouse, and an ethernet cable connected to your router. Leave the usb WiFi adapter aside to start with. Plug in the SD card, and connect the power, and all being well the Rpi should boot up and show the raspi-config screen. This lets you carry out some initial configuration. 1: select Expand the Filesystem. It won’t have much effect if you are using a 2Gb SD card, but will give you extra free space if you have a bigger capacity card. Also enable ssh. This will enable us to talk to the Rpi directly from our PC later, which is convenient when setting it up. The first thing to check is that your Rpi is connected to the network and the internet. PING google.com (173.194.41.69) 56(84) bytes of data. At this stage I prefer to work from my main computer and to use an SSH connection to the Rpi. SSH stands for Secure Shell and is a way of connecting to the Rpi from an external computer via a network connection as if you were typing directly on the Rpi locally. 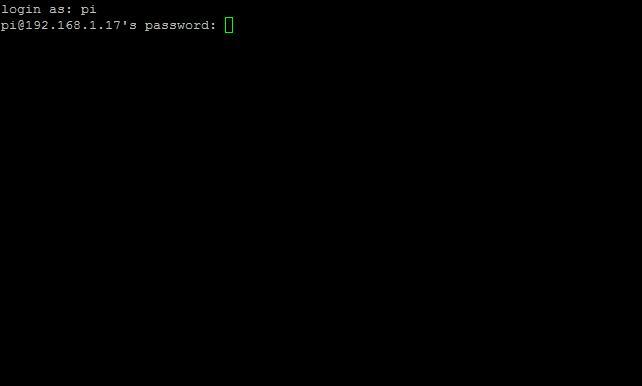 ssh pi@192.168.1.17 and press return, filling in the password when prompted. Reconnect the power to reboot the Rpi. If your router serves a different range you will have to choose your own appropriate address here. The broadcast address is used to address all computers on the same network, and the gateway is the address to which packets are routed when the address is not on the same network, e.g. Google’s address 173.194.41.69 used in the earlier ping example. Now that we have the permanent static address setup for the wireless interface, we can connect to the Rpi through that, and the reassign the ethernet eth0 connection to a separate network to which the tv will be connected. I have chosen to use the network 192.168.2.0 and allocate 192.168.2.1 to the Rpi. Later the TV will get an address which will be on the same new network. Now we need to return to the interfaces file and amend it. We now have the correct addresses setup on our two network interfaces. we need to concentrate on how they are connected together. We want packets sent from the TV on the 192.168.2.0 network to travel across to the 192.168.1.0 network connecting to it via the wlan0 interface on 192.168.1.98 Any responses to traffic it sends out have to be rerouted back to the 192.168.2.0 network and travel back to the TV via the wired eth0 interface. The two networks have different address ranges, so a process called NAT or Network Address Translation is carried out whereby packets from the TV are coded up to appear to come from 192.168.1.98 When replies come to these packets they have the address 192.,168.1.98 stripped and are returned to the originating TV on 192.168.2.100. Just as devices on the internet cannot see your PC directly, but only the router through which it connects to the internet, neither can devices on your normal network see the TV directly. The rules are stored in memory, and are normally lost when you reboot, so it is necessary to store them so that they can be reloaded, which is done conveniently every time the network interfaces are reinitialised. The rules can be entered manually one by one, but it is more convenient to write a bash script, which is really just a list of commands which are executed one after another to carry out the same process more easily. The rules are held in tables, and if you are going to play around with these it is a good idea to start with a script which will reset everything to the default setup with no rules in place. This is not at all what we want. We want packets to unknown networks on the internet to be routed via the wlan0 interface to our network router and from thence to the internet. This is easily achieved with the two commands route del default gw 192.168.2.1 etho to remove the unwanted one and route add default gw 192.168.1.1 wlan0 to add the required one. However the question is when and where to do it. We can only apply these commands once the routing table has been set up, namely once the network interfaces have been configured. There are hooks to invoke commands after an interface has come up, but we don’t what these to happen until both interfaces are active. The solution I have chosen is to add a script to perform the commands which is placed in the directory /etc/init.d and which is invoked at the end of the booting sequence once the interfaces have been set up. The line # Required-Start: $syslog $network ensures that the script is not started and run until the system logging and the network interfaces have been set up. The INIT information is required for any init.d script (which normally start and stop computer services to function properly. The actual meat of the script is in the last three lines, exit 0 ensuring that exits cleanly. Note when the server is installed you may get an error message saying it can’t be started. This is normal as we have not yet configured it. The dhcp server configuration file is stored at /etc/dhcp/dhcpd.conf We will keep a copy of this for reference and then substitute it with a new file. [FAIL] Stopping ISC DHCP server: dhcpd failed! At long last the project is complete. All that remains is to try it out. You can check its operation with a spare laptop or pc first if you like. Connect the Rpi ethernet socket to the ethernet socket on the laptop or PC and reboot the Rpi. The laptop or PC should be set so that its ethernet adapter will pick up an IP address using dhcp, which will usually be the case by default. All being well you should be able to access the internet from the laptop or PC. My TV is a Panasonic Viera TX-L37E5B The Menu has an option to gonfigure the network interface. This is set up for a wired connection (to the Rpi!) and set to obtain an IP address automatically (via DHCP). After a short pause the IP address was automatically populated with 192.168.2.11 and I was able to access the various internet options provided by the TV software. I hope that you have found this article interesting to follow. I have learned a lot in developing it. Absolutely excellent write up. Very detailed yet straightforward as well. 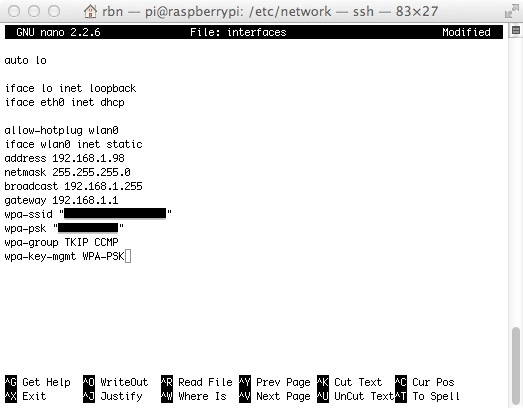 Quick question though, do you know how to set up the pi to act as an inline firewall routing to the same subnet? For example, in your topology the TV would instead have a static IP on 192.168.1.x and not the dynamic IP on 192.168.2.x Also, only certain ports would be permitted, such as 502. If you have any idea how to go about configuring the network interfaces and iptables that would be fantastic. Again, really appreciate this guide, seriously top notch. The quick answer is no I don’t know without a bit of research. I an no guru on iptables and routing. However there are lots of links related to subnettingon the internet. One I found which covers subnetting in some detail with examples is here IF you scroll halfway down to the network design examples this may help. For my purpose I only wanted this to connect the trv to the internet and didn’t require anything else to communicate with it. Best of luck! Thanks I appreciate it. I was able to successfully configure the Pi using bridge-utils. If you do that, you should be all set! Hmm, so I followed the guide, and everything works fine up until connecting to the internet. I can ssh into the pi at 192.168.2.1, but Windows complains it can’t each the DNS. I crosschecked with the wireless connection and my DNS server is the same on both – 192.168.1.1. Any idea on what I can try? The pi itself can reach the internet. hmm Double check the files, especially if you have typed them yourself. I have built from the downloadable files and it works ok. I see you can ssh into the pi on the 2.1 interface. The windows machine should show its dhcp server is 192.168.1.1. if you start a cmd window and type ipconfig /all you should see that. Double check the routing table on the pi. Via the ssh link type route and check the table is the same as shown in the article. I had exactly the same problem. When I tried to download the dhcpd package I found that I had lost access to the outside world. I eventually tracked it down to an address in setupiptables (my adsl modem assigns addresses in 192.168.0.n range). Once I corrected the INET_ADDRESS field everything worked a treat. Congratulations on a really well written guide. My next step is to add vpn to the wlan0 interface. I 90% of the post and then combined it with other information about the Raspberry Pi to achieve what I wanted. I have used it as a second Internet connection into the house to ease heavy periods of Internet usage, as my broadband connection is not very fast –> Phone tethered to Pi via USB, Pi connected to load balancing router. After changing the routes, my Pi can no longer connect to the internet but it is still possible to ssh in…? All other devices (wireless) can connect. Any things to try? I assume that you are connecting to the Pi by ssh into the wired connection, and that the Pi is connecting to your wireless router. If you are using my settings then your Pi will have an ethernet fixed address of 192.168.2.1 and you should be able to ping that from your computer plugged into the Pi. If your Pi is connecting to your main wireless router (in my case that is on 192.168.1.1) you should also be able to ping that, both directly from the Pi and from the ssh connection. 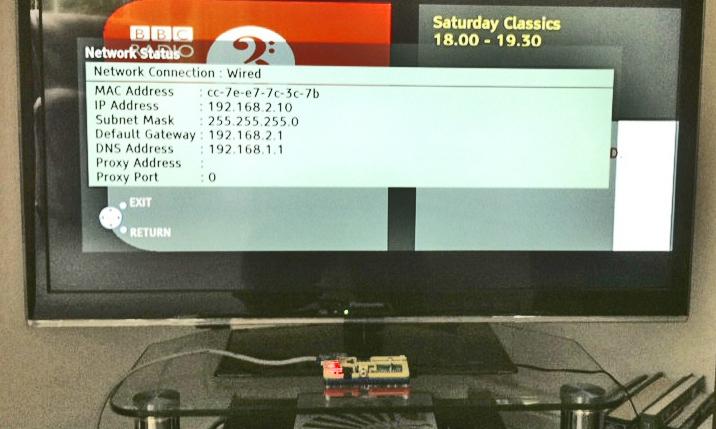 You should also be able to ping bbc.co.uk which will show that dns is working. Check the routing table carefully. and check that the diagram is like the SECOND one I show, after the routing table has been amended. Make sure that the script to alter it has worked. The default route should be to the main wireless router (192.168.1.1 in my case) IF that is not the case, then traffic cannot be routed to it. If you still have problems and you have typed in your config files yourself, try using the downloadable ones. Leave the sttings for the wired port the same, and adjust just those pertaining to the wireless IP address and the address of your wireless router. i.e references to 192.168.1.98 and 192.168.1.1 where these occur. Let me know if you still have problems and I’ll try to help further. Hi, First of all excellent guide thanks! I’m using your method to set up my Rpi as a wireless adapter for my Xbox 360. It should work out the same as a tv. I have the Xbox connected to the Rpi through eth0, and wlan0 is connected to my router. Pinging google.com works fine from the Rpi, but the Xbox cannot get an IP address from the Rpi. Any ideas why this is happening and if it is stopping the Xbox receive an IP address? Otherwise, I am scratching my head on this one! The xbox connected to the Rpi, but then could not connect to the internet. It looks like a routing issue in the Rpi. api.home may be the local name of your wireless access point. YOu could try pinging api.home and see what that gives. This is easily achieved with the two commands route del default gw 192.168.2.1 etho to remove the unwanted one and route add default gw 192.168.1.1 wlan0 to add the required one. I would try using a pc instead of the xbox initially. You can then use a command/terminal window and commands such as ping and ipconfig to see what is happening at the ethernet port. I don’t have an xbox myself and have no experience of it, but I think you may also have some port forwarding issues across the Rpi router. You maybe better to look at using the Pi as a bridge. See the comments earlier by Vince Rothenberg. does exactly what you want, again using a bridge. Thanks for your reply, I tested and went through my setup again, turns out I had a typo for the netmask somewhere, doh! I can now connect to Xbox Live but as you guessed I have NAT issues. But it isn’t a major problem for me right now. I noticed that the settings for the dhcp server on the Rpi include options for NAT translation, I will look into that and see if it helps. It could also just be my router not forwarding the ports I need, but it’s not allowing me to configure ports right now due to bad firmware. I tried using the guide you have linked, it wouldn’t work. I also tried using hostapd to set up a bridge but that didn’t work either. So now I ended up here with a solution that works for me! I suspect those solutions failed because I have “berryboot” installed on the SD card, which boots images from a USB pen drive instead of the SD. I find this is more reliable against card corruption when overclocking. Berryboot seems to manage the wpa-supplicant at startup and then passes this to Raspbian, something which is most likely preventing the bridge from working. So thank you for the guide and the help! If I sort out the NAT issue I will post a quick update with how I did it for anyone else who finds this guide! Glad you got it sorted. I’ve been there..stared at a config file that’s not worked for ages, only to spot a small typo eventually! Finally got back to having a go at sorting this problem. I bought a new router to use for port forwarding as my current one (BTHomeHub2) has buggy firmware and it stops forwarding ports after a while. The xbox is on eth0 to the Rpi. Rpi to the new router via wlan0 and the new router via ethernet to the homehub. The new router is in a DMZ which removes the port problems I had before because of the homehub. I have to keep the homehub where it is so my flatmate can still have their internet phone line…. hence all this hassle! Xbox live still reports NAT problems but everything still seems to work as it should. So it’s definitely the Rpi causing this. I can’t seem to find anything online that describes how to set up the NAT rules in the dhcp server on the Rpi. Can you point me in the correct direction? Or if you already know how that would be great! I’m not really a guru on iptables, but I think this article may be useful for setting up port-fowarding. Once you know what you need you can manually add the rule and then save the iptables setup as discussed in the article, for reloading by the script. I must just not be good at this at all. I’ve ran the instructions several times, all with fresh installs. I’m sure the tutorial is correct, but I must be doing something wrong. I installed off the quick method, changed the SSID and the PSK. I changed the router (my router is at 192.168.1.1). My Mac connects, gets an ip, router address (192.168.2.1 for some reason), subnet, DNS, but pinging gives no results. Hmm Not quite sure about your setup. My main wireless router was also on 192.168.1.1 so not sure what you changed here. The wireless address of my Pi was 192.168.2.98 and the ethernet port had a dhcp server on it. It had an address of 192.168.2.1 and served addresses in the range up from 192.68.2.10 to 192.168.2.50. The important thing is to make sure that the default gateway on the Pi points to the main wireless router (in my case 192.168.1.1) otherwise you won’t be able to ing through from the wired computer/tv connected to the Pi. When you first set it up using the procedure described the default gateway points to the ethernet connection, not the wired connection, and you have to change it as described. Need to get 887 kB of archives. After this operation, 1,875 kB of additional disk space will be used. sounds like it may be a dns error. no its not pinging anything it doesnt show up in my client list in my router settings either but i can ssh i’m confused. any idea how i could sniff out the problem? glad you sorted it. It’s so easy to do. You stare at something for ages, and then you spot an error. Possibly some kind of DHCP issue? The problem is that the iptables rules require to know the address of the wireless connection. You might be able to get it to work connecting via hotel dhcp if you can determine the wireless ip after connecting to the hotel (ip address should show it) and then rewrite and program the iptables script using the script shown, but I don’t know if this will work. This tutorial is very useful, thank you for all the effort. I can get the wireless to wired bridge working but I keep getting packets lost, just wondering if any one has similar issue. And sometime the IP for either wlan0 or eth0 will be gone. I was searching for something like this for a long time. Finally I found it and I must congratulate Robin Newman. In my 1st home I have ZON Internet Service Provider. In my 2nd home I connect to Fon Zon Free, which is a benefit FON and ZON Internet Service Providers offer to their costumers when they are away from their own routers, like in the outside or in other homes, so they can still have Internet by accessing other FON and ZON costumer’s routers. Fon Zon Free is the network I want to capture via Wi-Fi dongle on raspberry pi and redirect to it’s wired lan. It has SSID (FON_ ZON_ FREE_ INTERNET), Username and Password but the login is done in browser (as you can see if you try to connect to it if you find one: there are uncountable of those hotspots in Europe. So, when I connect to it and open a browser I’m redirected to the login site. I can connect raspberry pi to this network through my Wi-Fi dongle (tp-link tl-wn722n) but when in it’s desktop environment. When implementing the solution in this article, in wpa-ssid I can put FON_ ZON_ FREE_ INTERNET but what about wpa-psk? And where and how to put this network username? Can’t this be made in desktop environment, so I can login through browser? Please, give me ideas and tips. It looks to me as if your FON_ZON network is open, so anyone can connect, but access is then controlled by putting in a name and password to your web-browser. However the problem with this is that you will get a dhcp supplied address to your wireless adaptor, and the configuration of the iptables etc needs to know what the wireless side ip-address will be, so I’m not sure you will be able to get it to work. If you know the range of addresses the FON_ZON network offers, you MAY be able to choose a fixed address and get it to connect, but I am not hopeful. If you get a connection on the wireless side to work, you will then have to modify the iptables stuff to use the actual address the wireless side has. You’ll have to experiment along these lines. You will still have to do the logon stuff via the web browser too, which is what supplies the access control on the FON_ZON network. I would experiment with just getting the wireless side to connect to FON_ZON via dhcp first, then see if you can get it to connect with a fixed ip address, then do the iptables stuff using this. Before anything more, lots of thanks for your rapid help Robin. Yes, your absolutely right, FON_ZON network is open, so anyone can connect, but access is then controlled by putting in a name and password in the web-browser. The fact is that, although I’m an electronics technician, I have little knowled about Linux in general and even less with Raspbian (I develop hardware). One of my Notebooks has Linux Ubuntu 13.04 installed and, after connected my wifi dongle ( TP LINK TL-WN722N ) to a usb port, I only went to the “Edit Connections”, selected Ethernet > Wired Connection 1 and edited it by setting its IPV4 Methode to “Share to other computers” and that was all. Through this simple procedure FON_ZON_FREE_INTERNET is captured trought my wifi dongle and is redirected to this computer Wired LAN. I can then connect this Notebook LAN port to the WAN port of a Asus 500GP router as an access point (I think it is confugured this way – it was some time ago) and disseminate FON_ZON_FREE_INTERNET throught another SSID (the router one) along almost my entire 2nd home. Is there any installable application or module that simply alows me to impose the Raspberry Pi Wifi to be shared throught its LAN with simple steps like in Ubuntu ? Can’t I edit in some simple way Raspberry Pi wired IPv4 settings, with something like a friendly interface like in ubuntu, and choose “Share to other computers” ? Not 100% sure what you are trying to do, but it may be that you are after a bridged connection 9with the Pi wired port on teh same network as the wireless port on the pi rather than a routed one where the wired port sets up and serves a separate network, which passes packets to and from the separate wireless network. When I get to entering the command sudo sysctl –system. It lists out all the functions for susctl, but gives an error saying it cannot run that specific command, as in -system is not an option.. Any ideas? The command is sudo sysctl –system that is with two dashes before system doesn’t show up very well here! I managed to get it to work after I posted that comment! Everything worked like a charm. Just curious, might have to look into this myself, but if I plug a device in, that has a control panel with a login page when you navigate to that device’s assigned IP (like routers 192.168.1.1 etc with a login to manage them) is there a way to access that ip from the main network? For example if the laptop is connected to a network called “Linksys Network” and the pi is connected to that same network. Any ideas? One more thing, Because it has a DHCP server running, you could plug an ethernet switch in? Thanks for all the help! This has been the best tutorial I have found yet! Some hours ago I sent here a new post continuing my last one. “on the fly “, it is not here. Did you received it, or can you access it as a site administrator (supposing you are)? I’m asking this because it was somewhat long and I have no saved copy of it. I think the long post I have from you is your original one. Not had time to look at the follow ups yet, but will try later today. Great guide and very detailed! I have a question though that probably is a bit newbie. I have the pi giving wired internet access to a beaglebone black. Connecting via ssh through the home network to the rpi (static ip: 192.168.0.98) is obviously fine. How can I ssh to the beaglebone black directly (ip:192.168.1.10)? 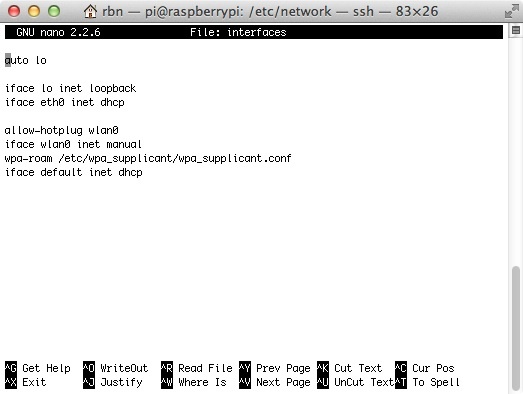 At the moment I can ssh to the raspberry pi and through that I can ssh to the beaglebone. Is there a way to ssh directly without this rather “inception” method? This should now NOT connect to the Pi but forward the command to the beagleboard. The alternative is to set up your Pi as a bridged rather than a routed connection. In that case the beagle board would be on the same network as your main one. Yeah it was –dport. I was copying and apparently it wasn’t the same dash character that I was typing and it was giving me an error for that. I’m trying to do the same thing as rbn2013, I can now reach my computer connected to the Pi (ping, tracert) but not access the ports I want. Is the correct formatting, sorry for double comment. wan port so it can be sent out through its antenna and distribute FON_ZON_FREE_INTERNET with sufficient power to almost all my house. That all I’ve been talking about from the beginning. This is in fact something like a repeater but, in this one, I can login to the FON_ZON_FREE_INTERNET . I Have spent the afternoon setting this up. I got to the end and discovered that my laptop could connect to my raspberry pi but not to the internet. I then checked my home router and it said that my raspberry pi was connected to the router. I then decided to see if taking the “shortcut” and downloading the zip file would solve the problem, it didn’t. If I trying and ping on my pi it just says “ping: unknown host google.com”. It seemed to be fine at the point ‘sudo apt-get install isc-dhcp-server’ as it downloaded this fine. Yes this is a good solution. My original article was not intended for X-Box connection, although it can be modified for such. It did what I needed at the time. Excellent article. Well worth the read. I’ve worked on this for a while, but still can’t access the device plugged in. It has a web interface. I plugged my laptop in to see what kind of info it assigns it when it connects to the network. My laptop is given an ip of 192.168.2.10, router at 192.168.2.1 and a DNS of 192.168.1.1 (what the router is on the wireless net) The pi is being assigned 192.168.1.10 (the router starts assigning at .1.2) So if I have a device plugged into the pi that is at 192.168.2.10, how can I access it if I am on the wireless network at 192.168.1.11? Any ideas? As described my project is not intended to do this. It behaves rather like your router connected to the internet. Devices on the internet cannot see devices on your local network. In the same way traffic coming to the pi via the wireless input cannot see devices on the ethernet wired network connected to the pi. In both cases, it is intended that communication is started by a device on the local network side. Once a connection is established, external devices can talk to the device that initiated the contact. That is fine for an interne-tv which is what I used the project for. However there are two solutions. 1) you can set up port forwarding, such that all traffic on specified port is directed to a specified device on the local side. For example you would do this to enable a webserver to be run on your local network by sending all port 80 traffic to the specific machine. As far as the outside world would be concerned in that case the webserver would have the address of your router. However a better solution in the case you describe is to use a network bridge setup, and not a router on the Pi. In that case, devices connected to the ethernet port are on the SAME network as the wireless side, and can be seen by the other devices connected to your main route local lan. I followed your guide and all is fine..
My TV has an IP assigned (192.168.2.10) so an ip related to the eth0 network. When I ask the tv setup to configure the network connection it receives the ip/gateway but it always complains about dns not reachable. If you are having problems with the tv config, I suggest you use a laptop or desktop there first. Then you can try pinging to see if the Pi is routing through correctly. If not check the routing table carefully as described in the article. Hi, thanks for your reply but in the meantime I followed another guide and now TV config is working fine. Interesting, I’ll look for this. I’ll try. Any concerns about bridge instead of routing? Nice article! 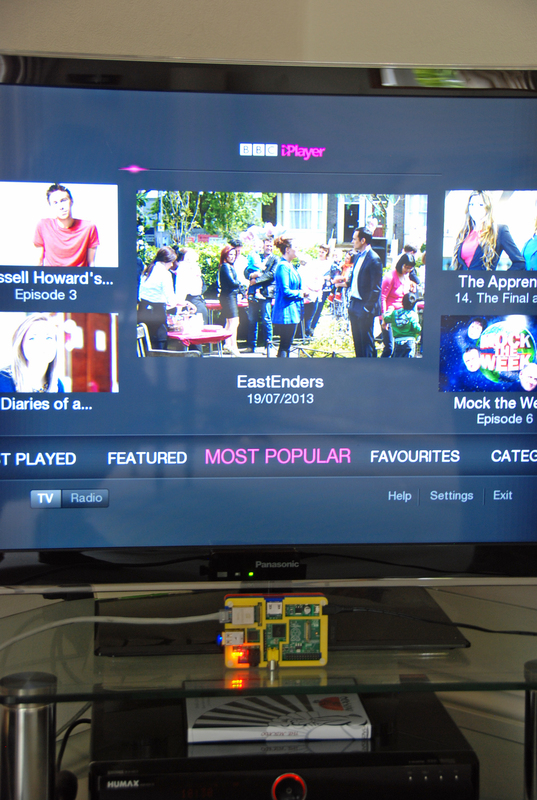 I have tested this and I can access the internet via my laptop (TV equivalent) through the wireless Pi. My goal is to connect an IP camera on the 192.168.2.x subnet of the Pi and be able to see the camera (IP 192.168.2.20) my main network (IP 192.168.4.x). Can this routing setup work both ways – from main PC to Pi AND Pi to main PC? I can currently view my 192.168.4.x subnet from the Pi but am unable to see the 192.168.2.x addresses from my main computer. I got it work by setting up advance routing for the 192.168.2.x subnet in my router. I can know see the 192.168.2.x subnet computer shares from 192.168.4.x subnet. Are you referring to DLNA stuff? Please can you explain how do you achieve the goal to run DLNA across lan and wifi attached devices? Anyone did a test of the passthrough speed? I did not try DLNA, just accessing the second subnet from my Win7 computer by typing 192.168.2.x to see the shared folders. Regarding the IP camera, I can access it’s web interface via the Win7 web browser by typing the IP camera’s IP address to view the video. Again, the Win7 is 192.168.4.x and the IP camera is 192.168.2.x. Very stable for the first 24 hours. I am basically substituting the IP camera for the TV. Thanks for the excellent write up. I just moved to an apartment and I am trying to connect to the open wifi ‘xfinitywifi.’ I’ve got access to it as my family is a Comcast customer. This tutorial is something that interested me because I want to get my internet from the free xfinitywifi and use it to route to another router I have to create my own personal network. This project seemed perfect for me. I started having issues when I started modifying the interfaces file. Because the network is not protected, I am using “wireless-essid xfinity” instead of the wpa information that your write up calls for. I get it connected and everything is happy, but when I start to set up the ethernet network, the wireless one stops any sort of connection. I have followed each step time after time but can’t seem to get a connection after I’ve added the new static eth0 network. Help? Some time since I did this so a bit rusty about it! I would set up and test the wifi connection first from the pi. It is important that the ip has a static IP address or the ip tables won’t work. It’s ok to use dhcp provided that the wifi access point you use is set to give the same address to the pi each time. If you use a different IP address to the one in the article make sure that you alter the ip tables set up accordingly. Hope you get it working. Great article. Has anyone tried combining this with an OpenVPN Gateway? Would like all WLAN0 traffic to be routed out to a VPN Server to fool Smart TV into thinking it’s in another country… maybe I can combine this project http://techfunbln.blogspot.co.uk/2013/09/raspberry-pi-as-openvpn-gateway-with-or.html with a bit of thought??? I come back with my issue: I set up the bridge so my tv (192.168.2.3) is connected to the rpi (192.168.1.7); the raspberry has a wifi dongle and is connected to the router (192.168.1.1). How can I achieve the goal to allow the “dlna traffic” through the TV? From what I understood I must place the tv in the same net as the other devices (192.168.1.x)? You can then reboot your Pi and it should connect wirelessly to your internet router and allow your tv (or pvr bpx) plugged into the ethernet port to obtain a dhcp provided address. IN my case the wlan ip was 192.168.13 and the tv address 192.168.1.16 Note these are both on the same network, so uPNP data should pass ok. In practice I found that I could sometimes see the humaxbox that I have, and play videos from that on vlc on my iPad, but I have not managed to get the reverse direction working, i.e. for my humax box to see a media server on my nas on teh main network, although it does so when directly connected by a cable. I will try and investigate further. Now I’m able to send content from my desktop to my Samsung TV. I’m not able to edit my last comment. I’m using open wifi with mac address filter. 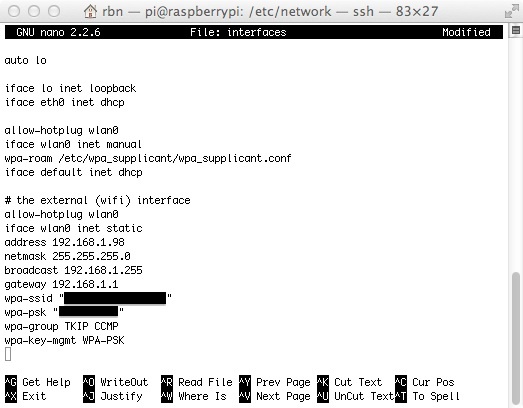 Since I setup this interfaces file often I miss raspberry wlan0 connectivity: router panel shows that raspberry wlan0 is connected but I cannot ssh or connect to the rasp; I have to plug the usb keyboard and run sudo ifdown wlan0 and sudo ifup wlan0. Hello, your description works well for connecting a Laptop or even a TV via DHCP to the pi. But whats not working is a Printer on the Pi’s EthWlanIptablesBridge. I want to run a Network-Printer with a Pi. Do you have a advice how I get run the Printer. There is no ping working between the Printer(I used a Laptop for ping) – Pi’s eth0/wlan0 – Router and no ping in the other direction. A ping from the Pi works well in the direction of Router and the direction of the Laptop/Printer. Do I have to add a special iptables rule? Thanks so long. It is something I am still looking at but no solution yet. I think a lot of people would like there to be one! Thanks so much for an awesome article, it was spot on. I looked at so many articles on how to get this going and I kept on coming back to yours as the most detailed… I finally gave it a go and it works a treat. Thanks!!! Just with respect to the question about allowing access from the wlan-side to the eth-side (i.e. the printer scenario above) – this is what I wanted to achieve as well. The solution I found was to not setup any NAT rules within the iptables configuration – so I used your configuration and just ignored the last 2 lines. In effect the Pi is now just forwarding packets without changing/masking any source addresses. This seems to work fine in my setup. The only change I had to make to my network was to add a static route on my main router – to tell it that my eth0 network was behind the wlan0 IP of the Pi. So in your configuration this would be adding the route “network 192.168.2.0 mask 255.255.255.0 via 192.168.1.98”. Most routers should allow you to input static routes I would think. I hope this helps others looking to get this scenario working. Baguar, thanks for your comments. I am sure they will be useful to others. Not as elegant as a true bridge, but gives full visibility among all devices in both subnets! I’m trying to use my pi to connect an ethernet-capable printer into my network wirelessly (not internet sharing). I understand that using this tutorial, the bridged ethernet device(s) end up not visible to the rest of the network – which means this won’t quite do the trick in my case. Any suggestions as to what I would need to change in order to get the printer visible to the rest of the network? See my reply to dafosy above! If you have been trying to add 192.168.1.1 that is not compatible with the two networks you have set up. 192.168.3.0 on the eth0 and 192.168.2.0 on the wlan0 interface. If you want to use different ip to the ones in the article you must make sure you change ALL the relevant references. If your router is on ip 192.168.2. 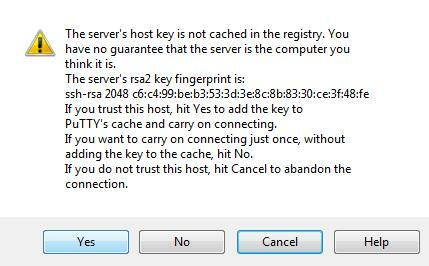 * then you will want to set your default gateway to the SAME address as the router. Thanks for the reply. I have changed everything as my main router is on 192.168.2.1, so I’m using eth0 as 192.168.3.1 and wireless on 192.168.2.70. I’ve noticed that if I re-do the nano setuproutes, chmod 755 setuproutes, sudo cp setuproutes /etc/init.d, sudo update-rc.d setuproutes defaults, sudo shutdown -r now commands I can get route to look correct, but then I cannot SSH in anymore and can’t ping google either. You will also have to alter the script to reset the routing table called setuproutes, although you can get it working manually before installing this. Also try getting the interfaces and routing tables going first so that you can ping your router from the pi and an device fitted to the eth0 port. Also you should be able to se your pi from the main network and ssh to it. Do this with NO iptables installed first (other than the reset default), then you can isolate the problem to setting up the interfaces, or setting up iptables. Google captcha plugin for wordpress. There are several there. I have a similar problem to solve (for my own convenience). do NOT have exactly the same WiFi USB dongle. mostly for app testing and development, it also lacks an Ethernet connector. The wireless network is fine if I go downstairs to the hotell lobby. user interface when selecting the external WiFi card. connection and DHCP client functionality. working drivers and possibility to connect different hi gain antennas, are welcome. in Puerto de la Cruz (or other cities on Tenerife) may be a little limited. Holy cow! I totally get the work done! Thanks man! I had similar issue that another people has mention in comments before. The problem was that the client really receive an IP address from dhcp server, but internet is not working. By SSH-ing inside the pi the internet IS working well. I solve this issue by running sudo raspi-config set the GPU memory size from 64 to 32-bit. and click on Finish. Then reboot system. The reason why i get to this situation is that i always use “[enable ssh] at first boot cheat”. So i always skip raspi-config cause i think that ssh access is all i need, but i was wrong. The raspi-config must be launched and finished! 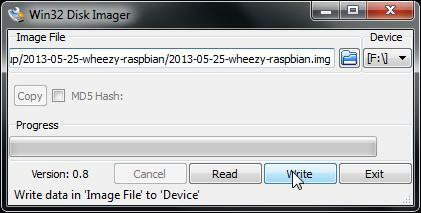 Get the whole tutorial done with 2014-01-07-wheezy-raspbian, Rpi Model B 512Mb. this is driving me crazy, my routers ip is 192.168.0.1 my rasbpi’s orginal working wireless ip was 192.168.0.7. any idea what i need to do? Sorry you are having problems. Since you are using different ip to those published in the article I assume that you have adjusted all the configurations AND done this for script to make the iptables rules to suit the address range that you are using. Otherwise it certainly won’t work. You should have default gateway showing in your routing table. Again you need to run the (suitably modified) scripts to make sure this is set up correctly. otherwise your Pi won’t know where to route packets. Can you still ping your Pi from a PC on your main network? That at least will show the wlan interface is working. If all else fails, you should be able to set your Pi back to the starting set up, by deleting the iptables file and resetting the config file. Then have another go. As regards the sysctl setup it does actually tell you to use type the command sudo sysctl –system to enable the forwarding which should have the same effect as the sudo /etc/rc.d/sysctl reload command that you used. Hope you get it going! Hi, I’m using this for a bit of a different application, want to forward a ipcamera. I’m not sure if this is the right thing to use but I tried it and I’m having no results besides that I can view the camera on 192.168.2.10 when I am using the RPI virtual desktop. I’m not sure how to rout this to the external internet though. I want to be able to connect to the camera via something like 192.168.1.117:2127. Currently the raspberry pi is hosting a webserver which I can access through 192.168.1.117:80. My reasoning or need to transfer the internet traffic over the RPI is that the place where I will be putting the RPI has no wifi. That is why I have connected a massive directional antenna to the RPI and then the internet works fine. I Have the camera connected to the RPI via ethernet. User requests website (from anywhere in world ie: 123.123.123.123:117) –> Raspberry pi responds and shows website (internally 192.168.1.177:80 or 192.168.2.1) –> User clicks link to view camera feed –> Camera (which is inside of RPI network on 192.168.2.10) gets shown to user. This will copy the backup onto the original again. If you don’t have the backup you can recreate the original using the pico editor and typing in the original values which are shown in an image in the article. IF you reboot you should be able to connect via an ethernet cable and set up the ssh connection again as described in the article. Then go through the procedure carefully as described in the article. I must emphasise that the addresses used may not be appropriate to your situation, and if your wireless network is not on 192.168.1 then you will have to put in the appropriate addresses for your situation. One other thing. I assume that you have had your wireless adapter on the Pi working satisfactorily before, and that there is not an incompatability problem with it. You could try it out by booting your pi with the wireless interface fitted, going to the graphics screen and using the Wifi config icon to set it up. This would at least show if it works., although it would also reconfigure your interfaces file in a different way. So, I tried it againg and there is the same problem… Here’s a photo of my interfaces file. All the adresses are right, my gateway (router) is on the 192.168.1.1, so it should work, but there is nothing about adresses on the end of boot process and wpa_gui complains about missing supplicants. Just one question: my rpi was connected only through wifi. It’s necessary to connect it through eth0 until configuring of iptables is done? I left my eth0 config at the original setting, and didn’t change it to network 192.168.2.0 until the wireless setting had been set up and tested. You will need to have the ssh set up to enable you to configure iptables, but even though the wireless setting is set up on network 192.168.1.0 you should still be able to connect via eth0 onto the original setting (my pi set up 192.168.1.11 via dhcp on this port). Another test you should do is to test that your wireless adapter can be set up using the original interfaces file on the pi. (content shown in an image in the article). You should be able to connect using the connect button on the gui desktop on the Pi. Not all wifi adapters work on teh pi and it is important to ascertain that the one you are using is ok. If it does connect, you can then alter the interfaces file to the one shown. and try to connect using the static version file. Hi, I come back after months. I setup everything. My problem is that the wifi connection to the rasp (ssh) and the bridge to the eth0 for the tv works fine for some minutes, after the disappear and appear again after some times. This happen very often. I have to unplug the eth0 cable to have stable ssh connection to the raspberry. What do you mean with “and also using a B+ “? Sorry I mean a raspberry pi model B+. The latest one that came out recently. Is there an easy way update this to accommodate for a DHCP vs static IP on the wireless interface? I’m having specific trouble figuring out how to modify the ip tables setup as you have the address hard coded in there. In my scenario I need to receive my wifi IP via dhcp. Any help would be much appreciated! I think the iptables needs a fixed IP to work. You could leave your wifi interface DHCP but get it served with a fixed address each time by altering the other end. You should be able to set a reserved address on your main wireless router. You will need to get the hardware address of the wifi adapter on your Pi, and then look on your main router config screen. Usually there is a setting where you can specify a reserved address and add the associated hardware address. This will then always be served the same (known) IP address.